BlogTop Tips for Perfect Roast LambEverything you need to perfect roasting lamb on your barbecue this Easter. BlogPancakes on the BarbecueLooking for something to take your Pancake Day to the next level? Our Head Grill Master is here to help. BlogDan's Date Night DinnerA delicious and simple way to impress a dinner date. Which Gas Barbecue is Right for Me?Charcoal and gas BBQ, side burner or no side burner: find out which gas BBQ best suits you and your needs and desires with Weber. 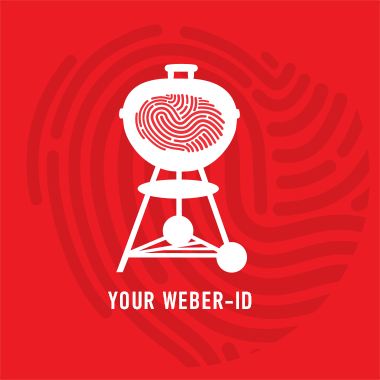 Subscribe now to the Weber newsletter. BlogGet to know our Head Grill MasterOur Head Grill Master, Dan Cooper, introduces his new blog, where you’ll be able to find top tips, techniques and inspiration to become a barbecue hero. Grill On"The Electric Grill Revolution"Small footprint, full force: the easy-clean next-generation electric grill Weber Pulse is so compact you BBQ party anywhere you get power – and with a top temperature of 300ºC, it packs a mighty punch. Grill OnCould This Be The Best Charcoal BBQ Ever? The Weber Kettle is a design classic – and it's line-up has been updated with a new Master Touch Premium. Weber's Tom Fuller is on hand to talk you though the innovations. Grill OnHow to barbecue a pizza?Bring the Italian Pizza Passion to your backyard. Here's how to turn your barbecue into a pizza oven, from toppings and timings, dough recipes, and the stone you need to do it. Grill OnWhy You Need A GriddleMany foods are too delicate to survive the lines of a normal barbecue, but with the Weber Griddle, you make make everything from smoky octopus to veggies simmering in their own juices – with no risk of the dreaded drop below. Grill OnDesserts on a grillDid you know you could bake on the barbecue? With Danish chef Thomas Herman's classic pancake recipe, wonders never cease. Grill OnWok - Asian flavour on the barbecueHow this typical Asian cooking tool can be integrated into your home BBQ to delight your guests with the best stir fry. Grill OnGrill Your Own StreetfoodStreet food is more than just a trend – it's the major food story of the last few years. But you don't have to travel to the inner city food trucks for a slice of the action. In fact, most popular street food dishes are best cooked on a home BBQ. Grill OnThe best roasts are made on a rotisserieRotisserie chicken, beef or pork doesn't have to involve a complicated set-up. With Weber's latest master tool, you can turn your barbecue into a slow-turning spit roast, capable of delivering flavour and tenderness right from your back-garden or terrace. Grilling the Perfect ChickenHow do you keep whole chicken moist and tender on the BBQ? Master griller and British chef Simon Rimmer has some tips. Grill OnThe Sausage GuideBarbecuing sausages – an all time favourite among all european countries. Celebrity chef Baudrexel explains how to prepare & serve the perfect one. Grill OnHow do you like your food cooked?The iGrill takes the guess work out of barbecuing, by letting you exactly manage the core temperature of the meat on the grill, right from your mobile phone. Enjoy the time with your guests while the iGrill is monitoring the the food on your barbecue. Grill OnKnow your cuts - essential to tasty resultsThere are so many different wonderful cuts, let´s hear what Jessica Wragg thinks about one of her favorite ones - the brisket. Grill OnIt's All About The LidHow do you make sure your meat is succulent, tender and thick with that deep, rich, smoky barbecue taste? Keep the lid down. Grill OnSmoke makes the differenceWhat are the perfect wood-chips for smoking? What's the best temperature? Which is the best meat and fish to smoke? How long do they need on the barbecue? Home smoking can seem hard, but it needn't be: here's everything you need to smoke like a pro. Grill OnGrilling The Perfect SteakThere's an art to barbecuing the perfect steak. Here, we'll walk you through everything you need to know, from top tips on getting the temperature right, marinades and cuts, preparing the grill, telling when a rare steak needs to come off the barbecue.